There are two boxers who would certainly destroy Juan Manuel Marquez’s career – Floyd Mayweather Jr. and Timothy Bradley. These unbeaten American fighters would retire the Mexican boxing superstar at his early forties. Most boxing fans knew that Marquez was best known when he defeated a former pound-for-pound king Manny Pacquiao last years by knockout. It was his most memorable win ever since he started his professional boxing career. 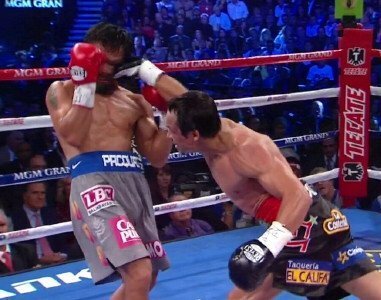 Firstly, Pacquiao will bounce back and hurt him so bad just the way Marquez did to him. Secondly, Marquez wants to retire with good boxing records. That’s why he won’t fight Pacquiao ever again. But that will not help his legacy in boxing. He will be called next to Floyd Mayweather Jr. who ducked the Filipino boxing icon. It may seem strange to say, but Marquez, a famous fighter from Mexico, needs another bout against the Filipino congressman if he wants to secure his future before retiring in boxing since aficionados believe that his last win is by chance only. Marquez should not aim for a second shot against the undefeated American boxer Timothy Bradley. The styles of Bradley would be difficult for him since he is not like Pacquiao who is too aggressive for a fight. There’s a real danger if he continues to pursue his dream for a rematch against Floyd Mayweather Jr. and Timothy Bradley. His boxing career will soon be over if he won’t fight another aggressive boxer like Pacquiao. It’s a wise move to go for a fifth bout against the Filipino congressman.